Cabo Roig webcam or Cabo Roig web cam as many people spell it, is simply a digital camera directly connected and linked to a computer which in turn is connected to the Internet. Some people also refer to these web camera as web cam Cabo Roig cams. These Cabo Roig webcams and Cabo Roig web cameras set up in the town of Cabo Roig Costa Blanca, Spain, are constantly on and transmitting and streaming live video, pictures and images of Cabo Roig that you can see from your computer wherever you are in the world. Cabo Roig a great place to be – no wonder they call it “the jewel of the Costa Blanca”. Very handy for both Murcia (San Javier) and Alicante airports, Cabo Roig is situated on the N-332 coastal road between Pilar de la Horadada and Torrevieja. It can also be easily accessed from the AP-7 motorway, junction 763 (La Zenia) or junction 768 (Dehesa de Campoamor). Cabo Roig travel and weather webcams are very popular as Cabo Roig is a popular tourist destination in the Southern Costa Blanca due to it’s lively reputation for nightclubs, beaches, location in the Mediterranean and it’s good weather. Some Cabo Roig webcams transmit live up-to-date streaming images of Cabo Roig and other Cabo Roig webcam show views and images of Cabo Roig from earlier on in the day. Below we have a list of our individual Cabo Roig webcam pages. Please help us by suggesting any Cabo Roig webcams that you know of in order to build our list of webcams in Cabo Roig. Cabo Roig webcams are great for people who have never been to Cabo Roig and who want to see what places in Cabo Roig look like. Most of the tourist destinations in Cabo Roig are on the coast but consider also going inland and discovering the real Spain. Cabo Roig Webcams – Page Summary – This page contains links to webcams in the beach resort of Cabo Roig as well as videos of Cabo Roig. 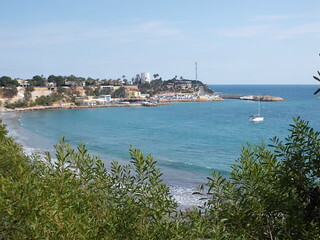 We show you Cabo Roig webcams so people who have never been can see what Cabo Roig looks like.